Today, at Microsoft Connect(); 2018, the company revealed Cloud Native Application Bundle (CNAB), an open source cloud-agnostic specification for packaging and running distributed applications. According to the company, with CNAB, now, you can manage distributed applications using a single installable file, reliably provision application resources in different environments and easily manage the application lifecycle without having to use multiple toolsets. CNAB, developed in partnership with Docker, is cloud-agnostic and works with everything from Azure to on-prem OpenStack, from Kubernetes to Swarm, and from Ansible to Terraform. And, it lets the developers define resources that can be deployed to a combination of platforms, including workstations, public clouds, offline networks, and IoT environments, and manage discrete resources in a distributed app as a single logical unit. CNAB’s extensible architecture, as the company says, enables users to sign, digitally verify, and attach signatures to bundles even when such features aren’t natively supported by the underlying technology, and to control how bundles can be used. 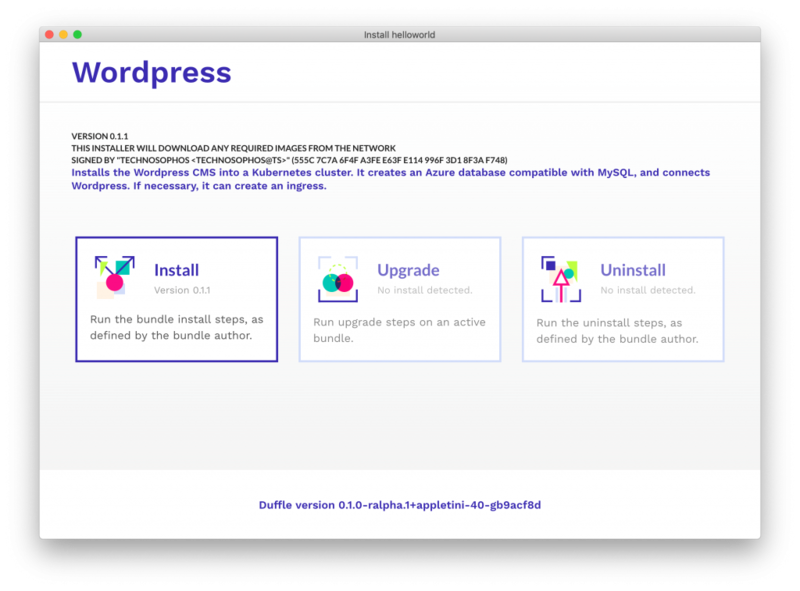 Moreover, it also supports the exportation of bundles and their dependencies, and the storage of bundles in repositories for remote search, fetch and install.